A pleasure to do buisness with. Chris and His team were very easy to work with and helped offer easy finiancing at a good rate. Very humble people that made the auto shopping very stress free and enjoyable. 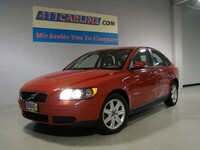 Would defiantly recommend 411Carline to those looking to purchase a vehicle. 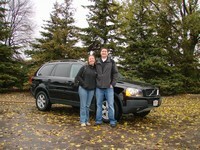 My wife and I would like to thank Chris and his team for making our trade-in a smooth and quick experience. 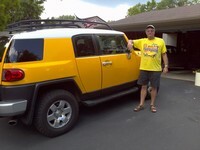 The Toyota 4Runner they sold us was in pristine condition and at a great price. By the looks of the other vehicles in the lot, quality is definitely a main focus here. I would definitely recommend giving these guys a call when looking for new vehicle. Thanks again! 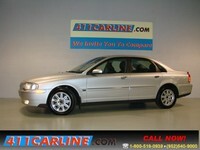 I had a very good experience at Carline and would purchase another vehicle here. I was leery at first because I'd had more experience with dealerships but Aaron and Chris were very straight-forward and easy to work with. I was constantly messaging questions about the car I wanted. They always responded in a timely manner with the utmost courtesy. 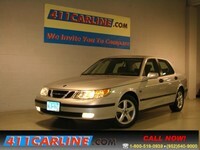 Thank you: I love my Saab! 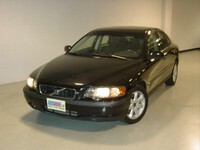 Am VERY happy with my car that I bought a few weeks ago at 411 Carline! 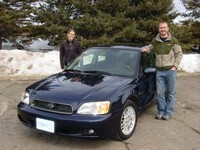 Aaron and Rhonda were incredibly kind, personable and professional. 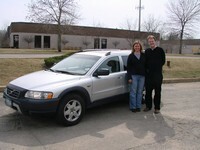 Our negotiations went smoothly and they even helped me transport the car to my home a few miles away. The car runs like a charm. I found a minor cosmetic snafu on the dashboard, but my mechanics checked it out and assured me this car is in great condition and suggested how to minimize the cosmetic blemish, should I choose to do so. 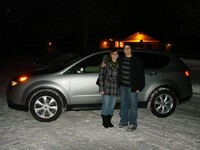 Thanks Aaron and Rhonda!!! Hats off to you and 411 Carline! Thanks for going through the trouble of working with a dealership in Illinois to get my car shipped here. Also a big thanks to Chris for making sure my long-loved trade-in vehicle was taken great care of and sold to a responsible individual. I am a college student, so this was my first time purchasing a car on my own. Chris was a great person to do business with. He knew every detail about the car I was looking at and was very honest about his opinion with the car. 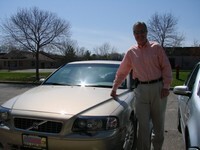 He is a very trust worthy person who is trying to sell you the best car for you and your budget. I had a very good experience and would definitely buy from them again! Wow. The other review is really surprising! 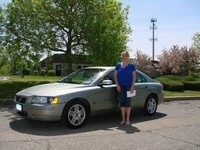 Maybe something drastically changed in last 3 years because my experience was great, and my car is awesome! It was exactly the experience I was looking for. It's a small family business and Chris, the owner's son, was very straightforward, patient, and knowledgable. I was really getting sick of checking out cars at the big companies (Luther, Lupient, Morries, etc), with fake/rude/aloof sales people going through the motions, not really listening, and trying to sell me on cars I wasn't interested in. Worst of all, they often knew less about the cars than I did! Despicable! Not my experience at 411 Carline. I am a very careful and picky buyer and Chris was very patient with me, answering all of my questions, addressing my concerns and putting no pressure on me to buy at any time. He was also very knowledgable! He was able to answer any question I had about the car (all the buttons, switches, sounds). Honestly, that's one of the main reasons I bought from 411carline. I could tell they had my best interest in mind and weren't just trying to get my money. (He even told me straight up "we just want people to get the car they want, even if it's not from us"). 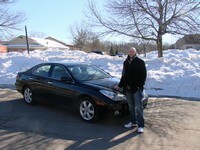 I test drove the car about 5 times before I bought it. I was a bit embarrassed to drive it so many times without making a decision, but I still got no pressure from Chris to buy. He let me take my time in the buying process and even encouraged me to "sleep on it" when I said "I'm pretty sure I want to buy this car...". He even said he'd call me if anyone else was interested to give me first dibs! Pretty cool. Just to make sure I wasn't getting smooth talked (because I'm always skeptical) I had the car checked by an outside mechanic. They essentially reflected everything back that Chris had told me about the car. The only thing they found was a bit of rust on the rotors. When I told Chris, he took $200 off the cost of the car. He even offered to have them replaced at a reduced price by one of his resources. 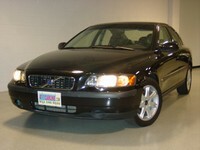 I went for the $200 off and finally settled on an awesome 2005 Volvo v50. It drives like a dream and looks great. I would definitely recommend this company to anyone who is in the market for a new ride! Thanks again, Chris! Very professional, I had a great time socializing with Aaron. Keep doing your thing and stay social. 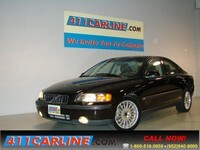 I would tell anyone interested in an import to check out 411Carline. Extremely fast online responses and personable salespeople. I enjoyed the "no-pressure" sales ethic and the super friendly staff. A++ experience!! Keep it up!! Thank you! I enjoyed how knowledgeable the sales staff was about the vehicle and how a CARFAX was provided with every vehicle along with friendly service. 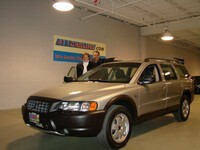 I appreciated the small organization atmosphere which gives a personal service and not the "big-boy dealership." 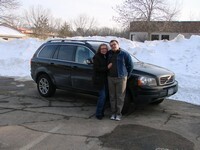 I recently purchased a Volvo XC90 from Chris at 411 Carline. Great experience! Very informative and forthcoming with any questions that I asked with out any sales pressure. 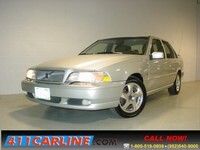 411 carline will be my first stop the next time I need to purchase a vehicle - LOVE MY VOLVO XC90!!!! Thanks Chris! Working with Chris was awesome. He was super flexible in times to check out cars, casual and friendly, and got me set up with an awesome car. 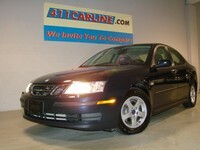 The idea of going to a major dealership seems absurd after working with a well run operation like 411Carline. 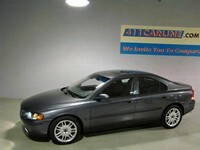 Bought our second car from 411carline. Not sure why you would go anywhere else. If they don't have a car you like in stock, let them know what you want and they will find it for you! So much easier than driving all over the city looking at cars! 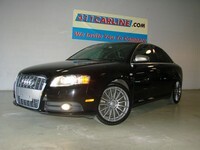 Purchased a used Audi A4 from 411Carline. Great sale! Professional and reliable people. Chris was awesome to work with. Would recommend this company to anyone. Thanks 411carline. Easiest car purchase I've ever made. 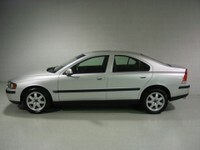 We gave the specs and makes of what we were looking for and they found us a car! Great quality and great price! Thanks Chris, Mike and Aaron for getting us into a car we wanted quickly and easily! We will definitely use 411Carline again! Being retired and having an accident that totaled my truck I did not know where I would get something as good as what I had? My son saw the add on the Internet for 411Carline and I thought I would call them. I made contact with Chris Longtin he was very pleasant and easy to talk to on the phone I set up an appointment to see one of his vehicles. 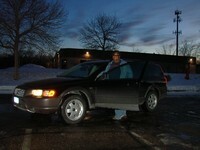 I really liked the car he showed my wife and me and we bought it from him. Chris is very low pressure and very knowledgeable about the inventory he has. 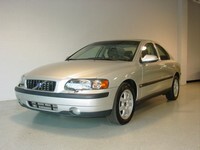 They have a nice inventory of used cars and most are in AAA condition. 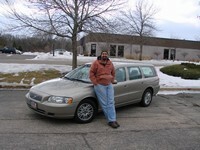 The car we bought was a fair deal and Chris could not have been a more honest salesman. When we discussed the car we bought he informed me of everything wrong with the vehicle and showed me the Car Fax for the past owner. 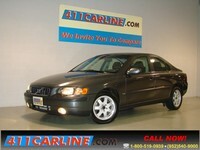 411Carline likes to purchase one owner cars that have been will cared for and the love for cars at 411 really shows. 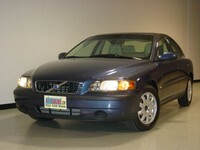 If you are looking for a used highend car give Chris or any one at 411Carline I intend to tell all my friends about them…. If you appreciate a low (no) pressure sales environment this is a great place to consider in your search. I had my eye on a particular car, made an appointment to come check it out, and was met by their friendly salesman, Chris who walked me through the process, and was completely forthright about the car, providing and talking through the car's Carfax report - he even ran a Carfax report on the car I brought to trade in no charge. Certainly satisfied and would recommend checking them out in your car search. 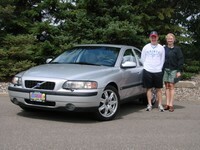 We were the couple that purchased the V70R. 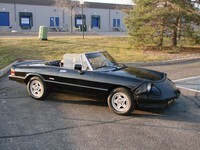 I have say, we were impressed at the quality of cars you guys had in you garage. 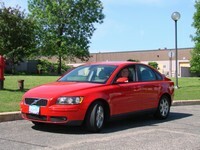 You also showed a nice variety of what Volvo has to offer given a small showroom. We were a bit skeptical at first but after our experience we would definitely purchase from you guys again. 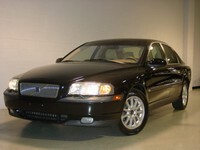 I hope you can continue to find good cars and resell them at better than big dealer prices. Thanks again, Jon, Katie, and Sydelle Godmare p.s. If you would like to use any of this message on your website as a testimonial feel free. Hey Wayne, We want to say "thank-you!" 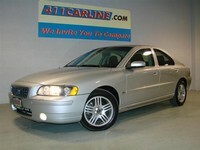 to you and Jacob for all your help in finding our new Volvo. You spent time with us, never pressuring us to go above our budget and always being welcoming to any questions or concerns. We very much appreciated working with a small organization where it didn't feel that it's only about volume and numbers. We'll be happy to mention you to any of our friends or colleagues. With kind regards, Stephane and Mandy Pannier. 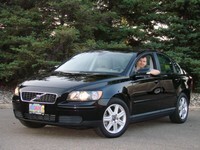 "When I started my car search, I knew my price range and I was pretty sure I knew what I wanted. But I also didn’t want to drive halfway across the country for a deal. Carline 411 allowed me to find what I wanted with minimal effort. 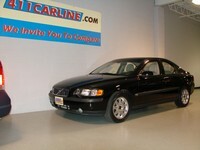 I love my new Volvo S60, and shopping at Carline 411 was an all-around great experience. 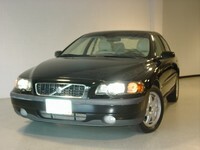 Wayne was very nice and very helpful, which made it easy for me to find the right car. Since I purchased the car, he’s continued to be very helpful. 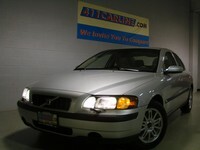 If your looking for a nice used Volvo, look at Carline 411!" Jacob, I just wanted to write and thank you again for the incredible job you did for me. I couldn’t be happier with my car. You found a car in my price range with all the features I wanted, and I had total confidence that you would only let me buy something that was a great value and that passed your high quality standards. It’s also a great peace of mind to know that I can rely on you for any advice and help I might need with my vehicle in the future. 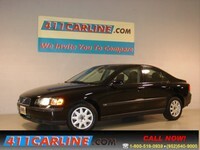 I feel very lucky to have found you and will highly recommend 411Carline to anyone I know looking for a vehicle. We wanted to thank you for making our car-buying experience such a good one! When we decided to purchase a new car we were dreading the entire process. You made it an enjoyable experience with your honesty and professionalism. The best part of all is that you didn't try to play the typical 'car salesman games' with us and for that we will definitely pass your company's name along to our friends & family! 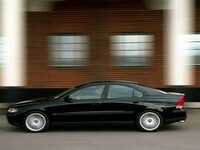 We will also be contacting you in the future as we buy new cars. A big Thank You from David and Sarah Peterson!! 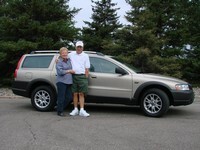 "Thanks, Wayne, for a very pleasant, pressure-free buying experience!" 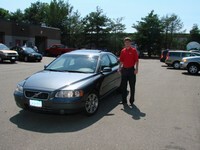 Sam, I just love my new Volvo S60. 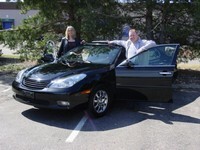 Your Knowledge and experience helped us greatly in the purchase of this car. Thank you for making it an enjoyable experience. You were honest and professional and did not play the price game with us, we appreciate that the most. 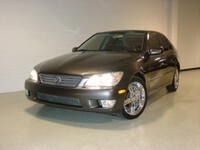 As far as we are concerned you have the best cars at the lowest prices on the market today. I have already recommended you to several people who are looking for a quality used car.Thank you again, Brenda and Kevin Caspers. 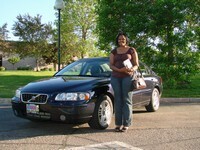 May 19, 2006 411 CARLINE.COM 2836 Headberg Drive Minnetonka MN 55305 Dear Guys: It has been one month since we purchased our cars through 411 Carline.Com (the A4 and the Saab 93), and I thought perhaps it was time to send you a letter. I know this may come as a shock to all of you, but the transition was “difficult” for me … and hence the new nickname of Spaz (in all honesty, that really isn’t new for me … just new coming from you guys). However, it really was and has been a pleasure working with all of you. I’m sure if you served donuts and coffee, we’d stop by every weekend (or perhaps a popcorn machine?) It was also super sweet that Robin took such good care of us. We most certainly would have dehydrated if she wasn’t around! And the signed Mountain Dew was our first “brush with fame”. All four of you make a “quirky” team! Thanks guys! It’s been a pleasure, and I look forward to future purchases! I will definitely recommend you to all my “special” friends! You’re so lucky! Yours truly, Pamela, John and Braeden P.S. Braeden also loves his new car from 411. I’ve actually been allowed to drive it on a limited basis and only if I promise not to lick the windows! "Dear Jacob and Sam. It's hard to believe that, after 17 (yup, that's seven-teen) years behind the wheel of her beloved 1990 Volvo 240 DL, Nesie's finally given her trusty 'Nellie' a long awaited semi-retirement. 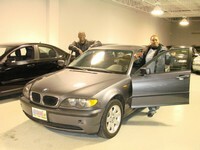 But, here we are about to slide into the leather seats of her new BMW 325 XI. 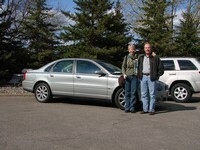 Thanks again for your service, courtesy, advice, and, most of all, your patience in helping her find just the right car. Keep up the good work and, if you happen to still be around, we'll definitely be seeing you guys again for our next vehicle purchase...in 2024 (smile). 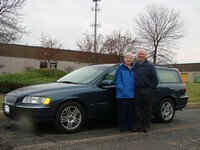 Gloria (Nesie) and Mark Bell"
I bought a car from 411carline in September of '06. 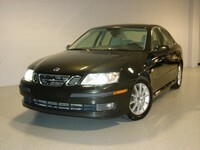 I must say this was the first positive car purchasing experience in my life. The staff was knowledgeable, friendly and conscientious. 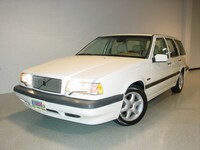 The Volvo I bought was in great shape and has been a reliable vehicle since. 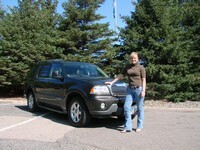 The advice I received regarding what vehicle would be best suited for my needs was great. You could have sold me a much more expensive car, but you decided to actually listen to what I need. 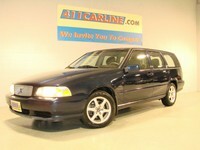 The buying experience with 411carline was so great, I've recommended you to a lot of people. Now my daughter is ready for her first car. Of course, because of my positive experience with you, you'll be the people I trust with this important purchase. Thanks, guys, for being the honest, helpful and friendly crew that you are. 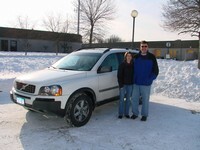 Hi Jacob, Just writing to you on behalf on what a great experience I had getting my Volvo XC90. You and Wayne made it so easy for me to help narrow down what I was looking for, and then find it for me with in a couple weeks. There was no pressure at all, and you were able to find me exactly what I was looking for. 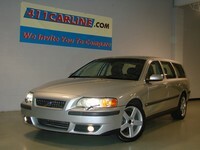 I look forward to be able to refer 411carline for the way they do business and work. Thanks!